Get quacky clean! Here comes everyone’s favorite rubber ducky to help make scrubbing during bath time a cinch. 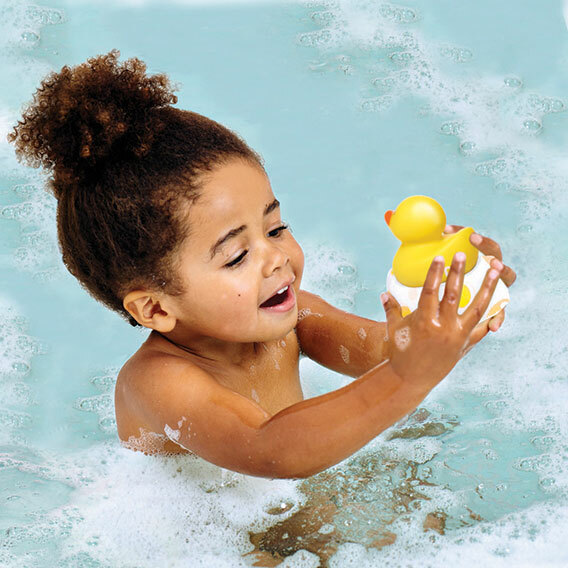 Just add soap and water to the soft cloth “sponge” under the duck, and waddle all around your little one’s body. Once they’re soapy, just rinse with water and VOILA – one clean, happy munchkin!